Hobbs & Porter manufacture bespoke stainless steel extractor cooker hoods for use in kitchens throughout the UK. Available in all the common sizes such as 60cm, 70cm, 80cm, 90cm, 100cm, 110cm and 120cm but we can manufacture any odd size that you require. If you prefer the size in millimetres the standard ones are 600mm, 700mm, 800mm, 900mm, 1000mm, 1100mm and 1200mm. 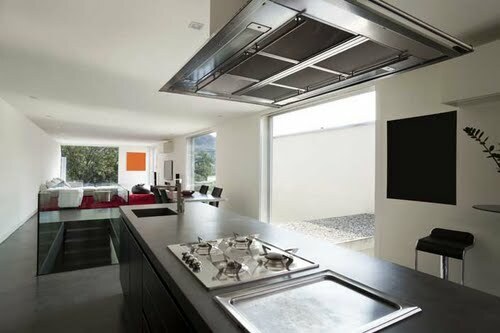 The extractor sizes above are typically wall-mounted but we can make them as per the picture opposite i.e. freestanding air extractor cooker hood for an island unit.